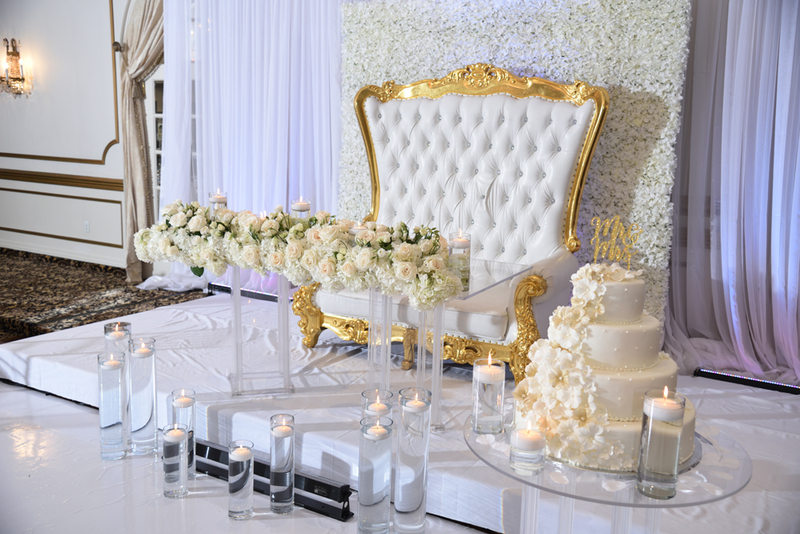 Roma’s Hospitality Centre is the perfect backdrop for your ultimate romance, the day you’ve been dreaming of. 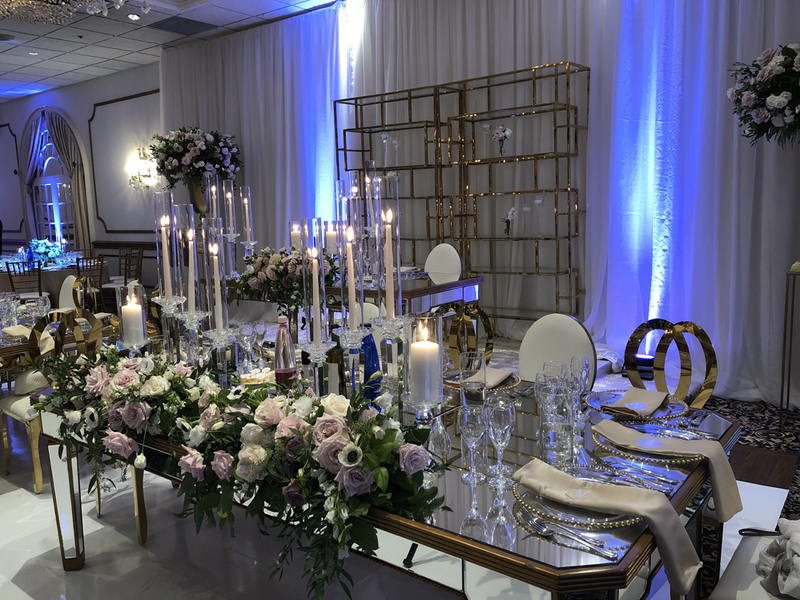 Roma’s Hospitality Centre focuses on fully customized wedding packages – planned exclusively for you. 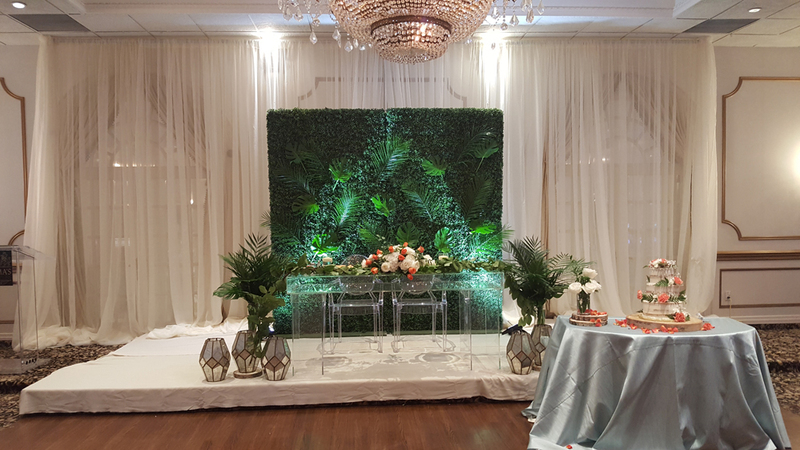 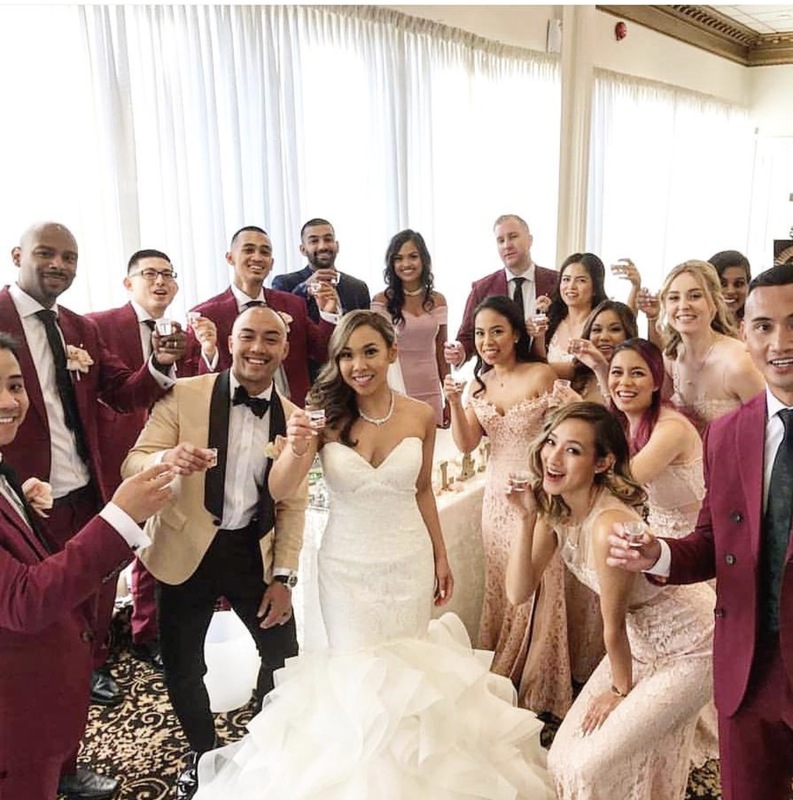 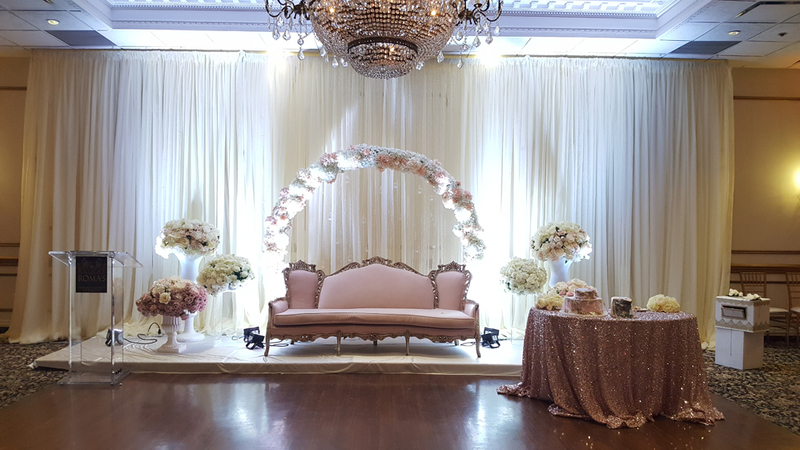 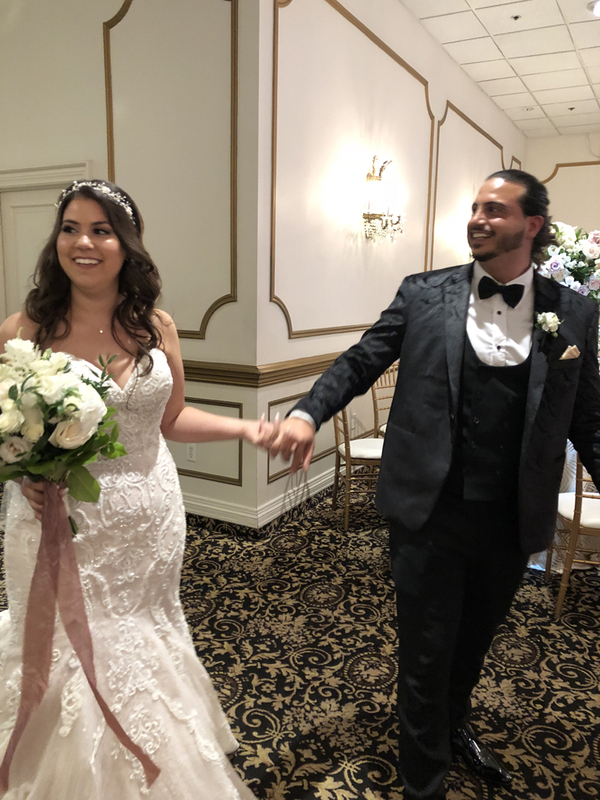 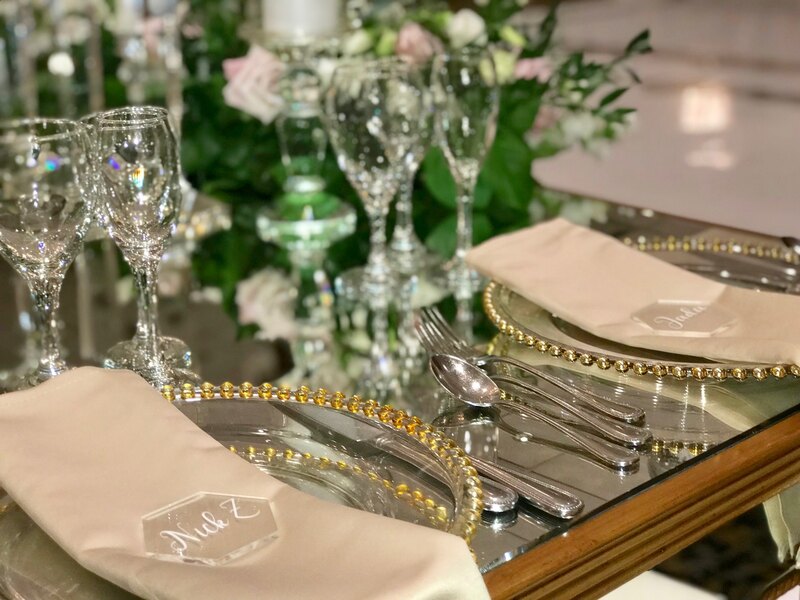 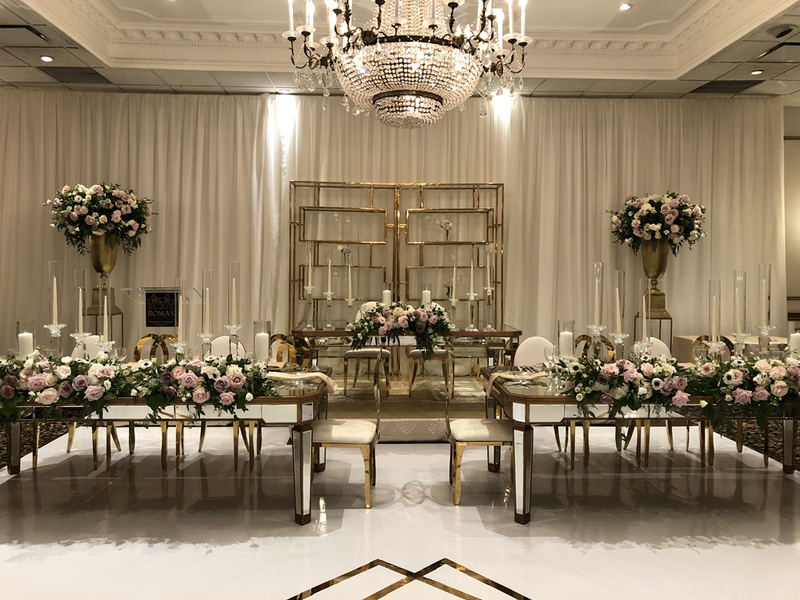 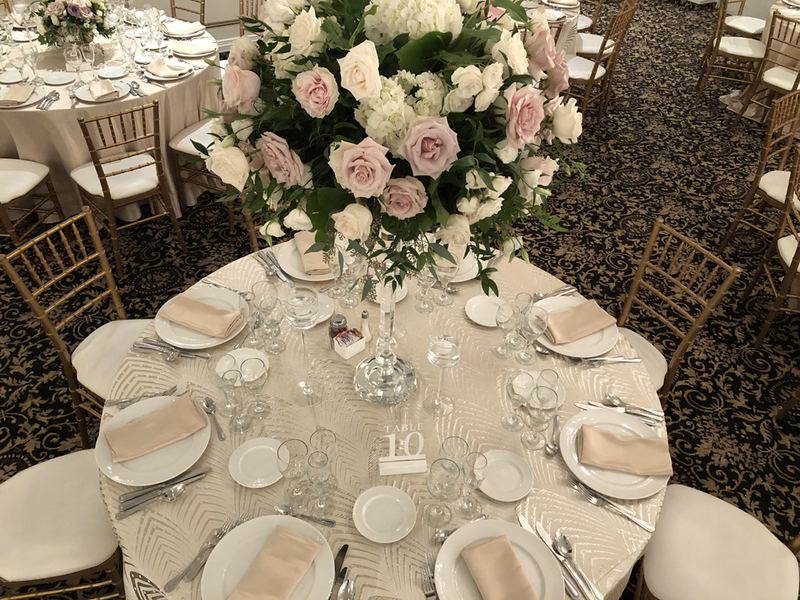 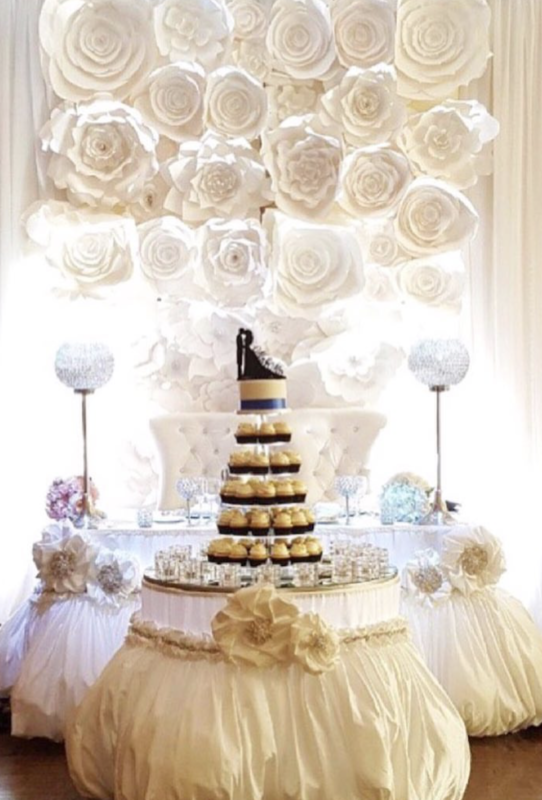 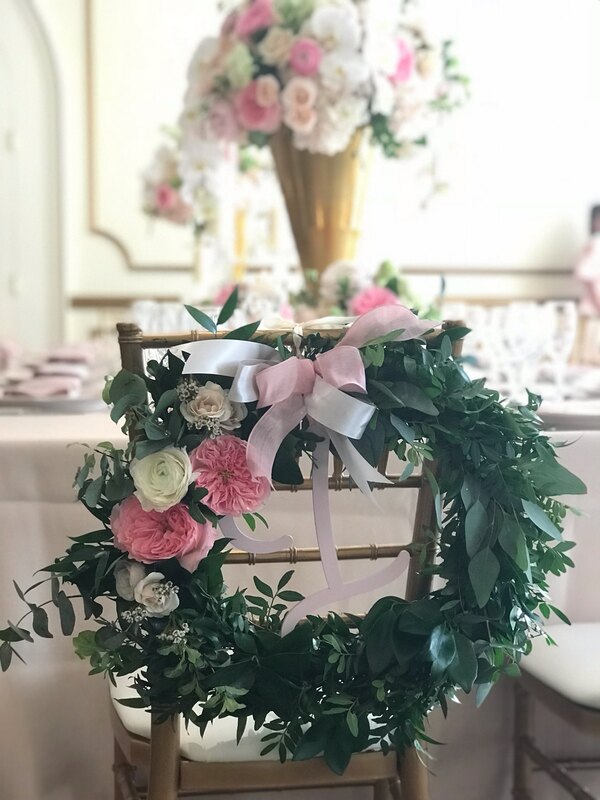 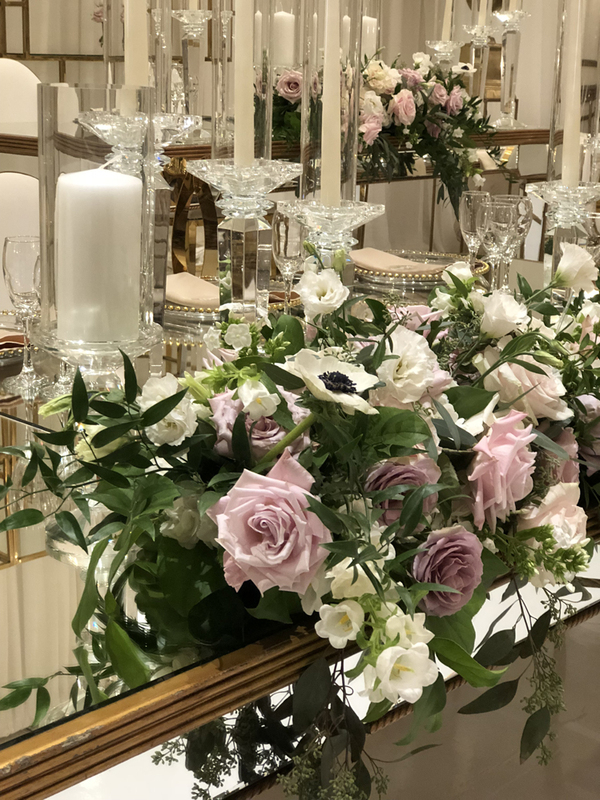 Our Event Specialists will guide you through the entire process and work to execute your custom vision – creating memories that last a lifetime. 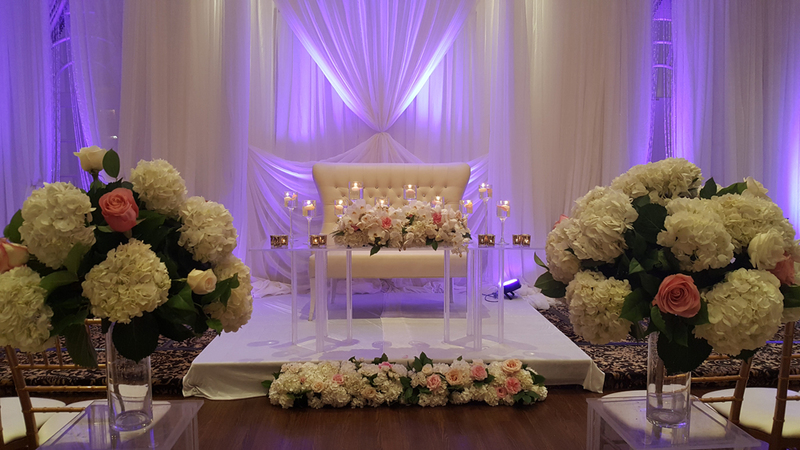 Together we will plan and execute your custom wedding vision. 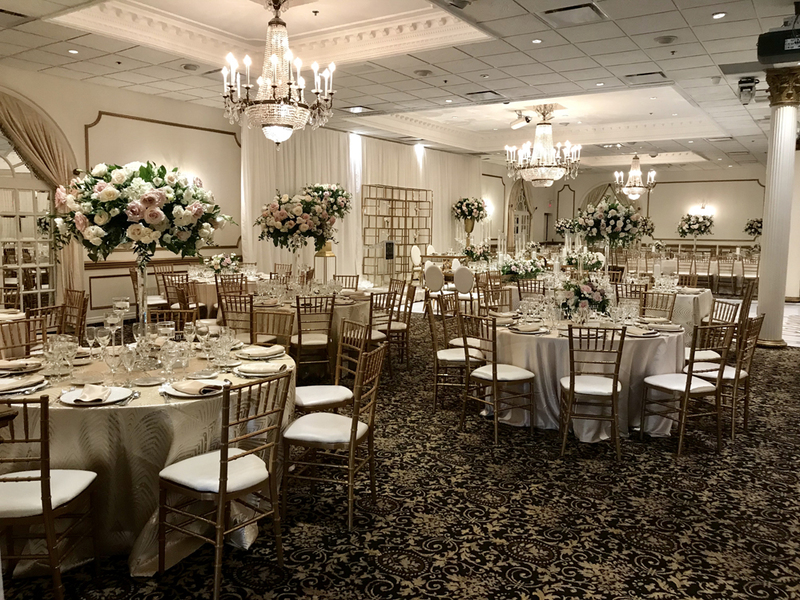 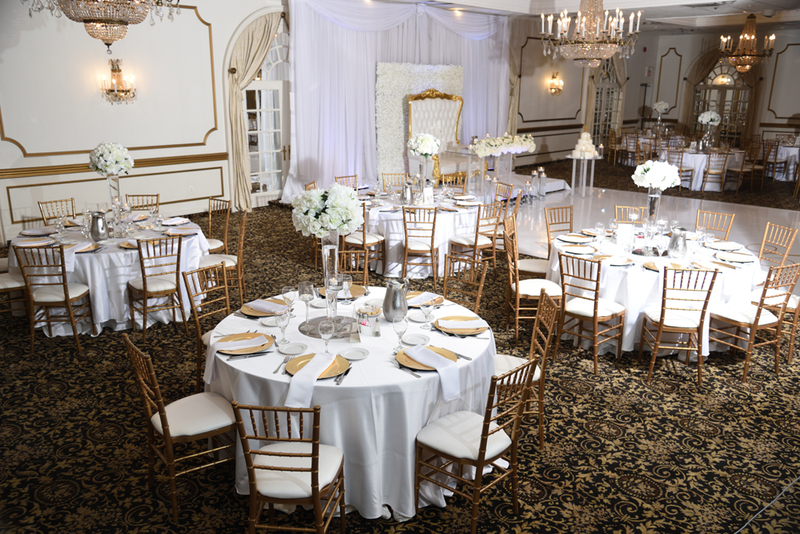 Our newly renovated facility has been graced with crystal chandeliers throughout, coffered ceilings and classic white paneling. 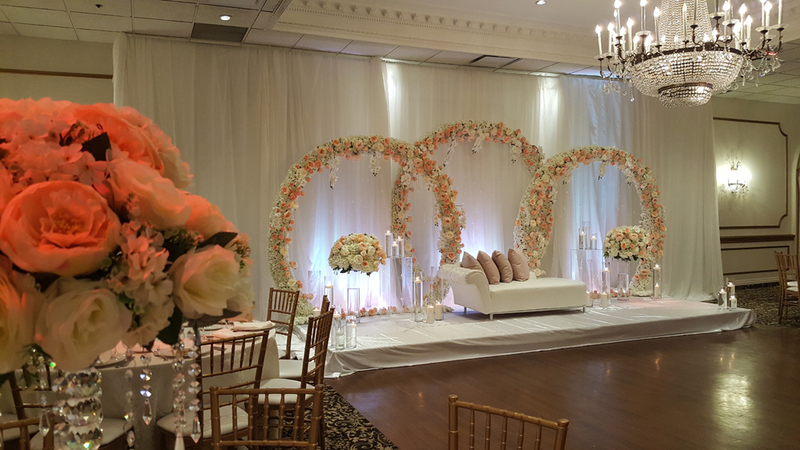 Roma’s Hospitality Centre is welcoming, elegant, romantic providing the perfect backdrop to compliment any décor. 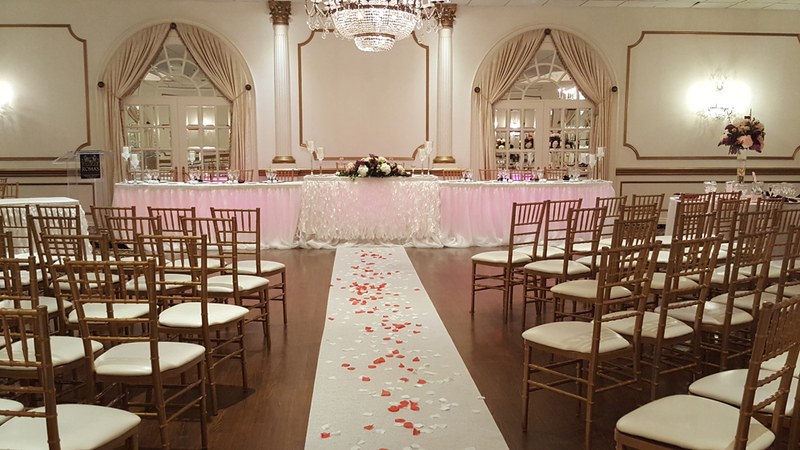 Let our timeless setting tell your love story. 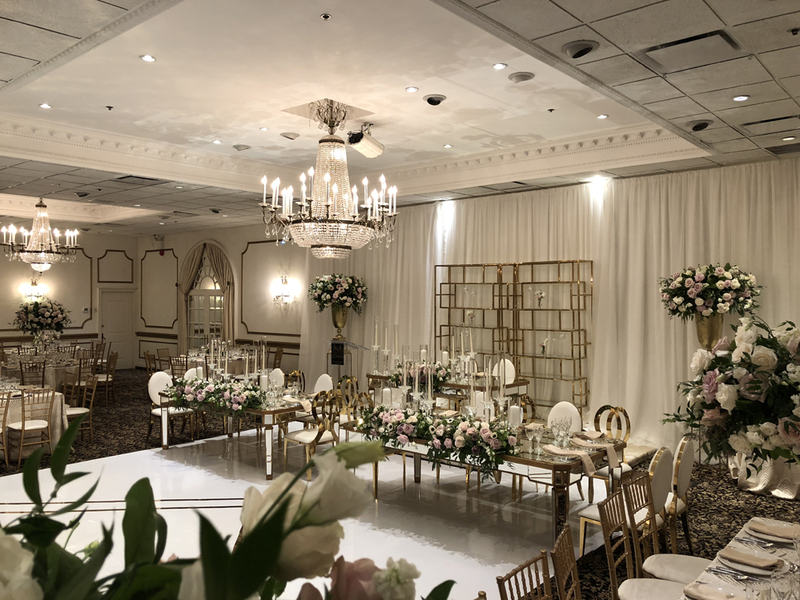 We’ll be sure to set the scene for memories to last a lifetime. 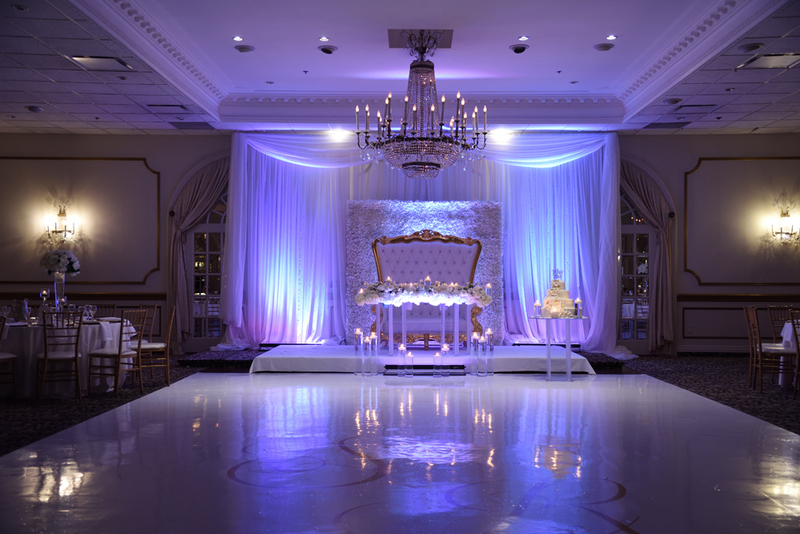 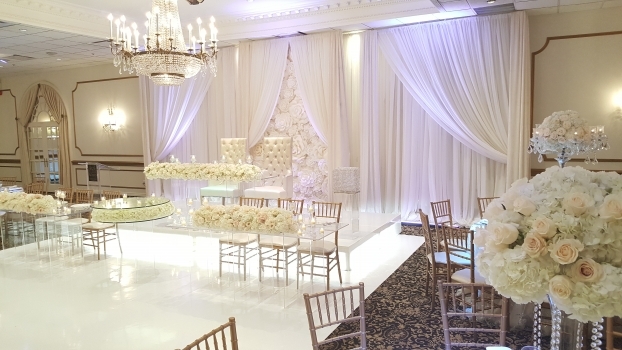 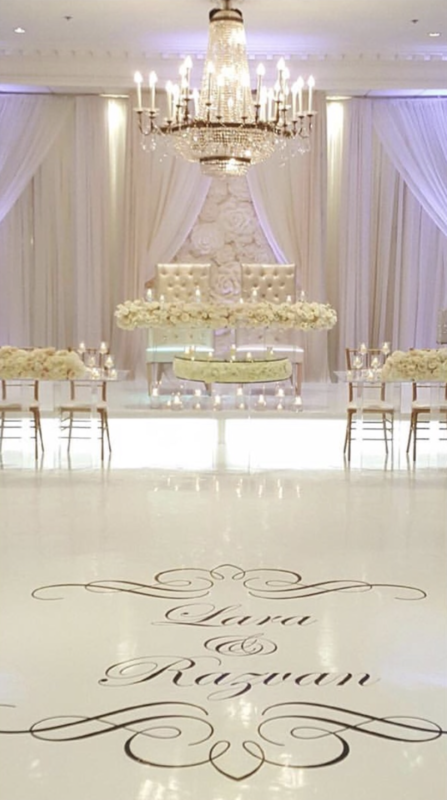 Call now to book an appointment with one of our Event Specialists. 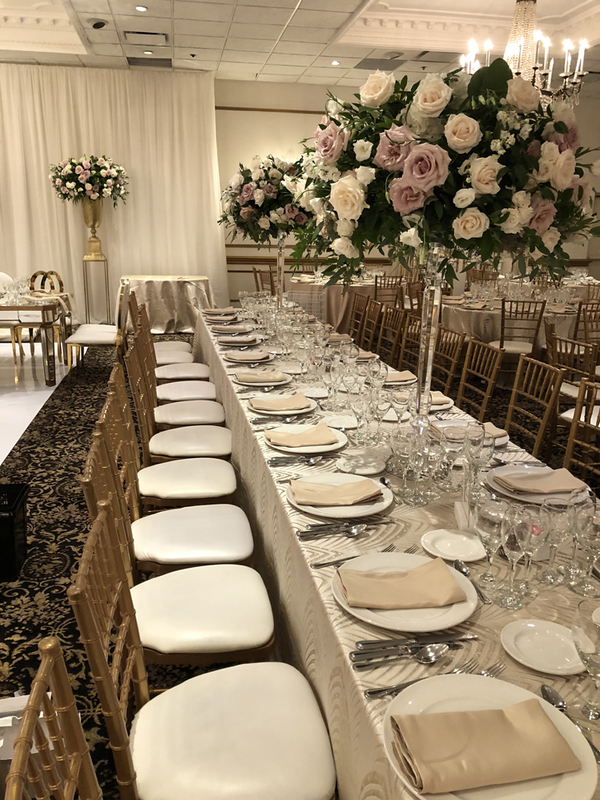 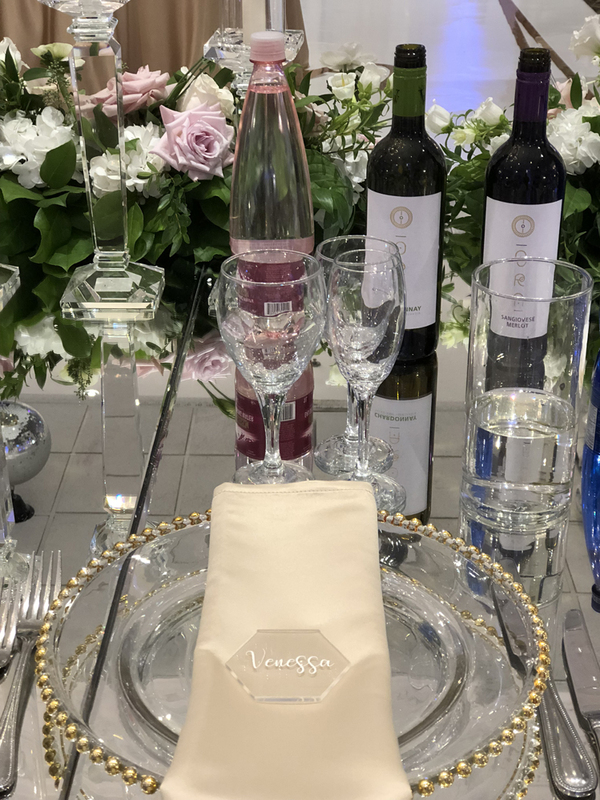 Book your February to April 2019 winter wedding with us and receive special rates along with a complimentary pastry & fruit station. 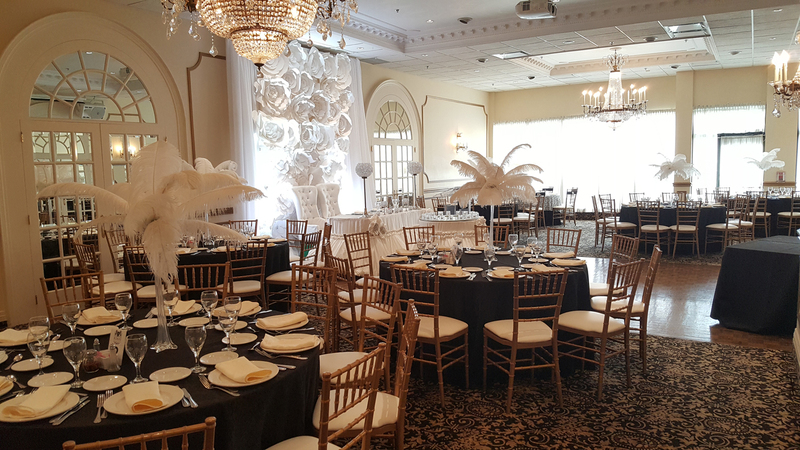 If you are flexible with your date and open to a Friday or Sunday, receive fantastic deals on food & beverage package prices! 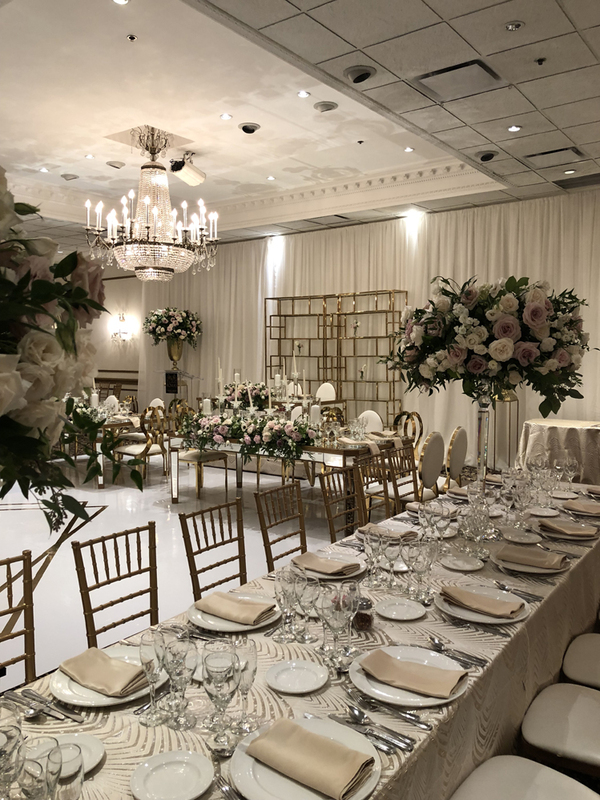 The culinary team at Roma’s Hospitality Centre creates seasonal and custom menus specifically catered for your wedding. 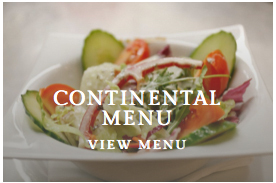 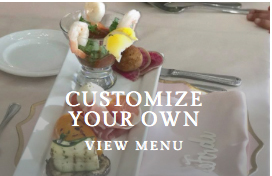 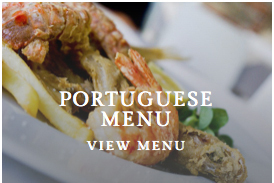 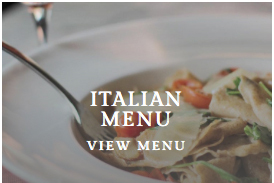 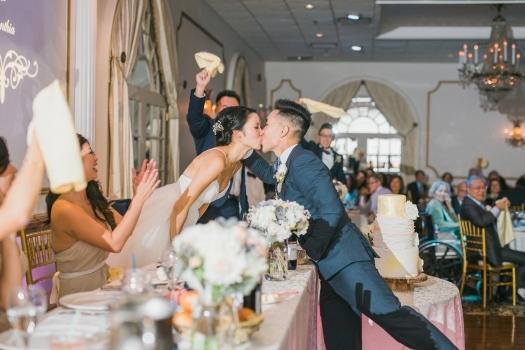 We believe your wedding menu should be unique and planned by you. 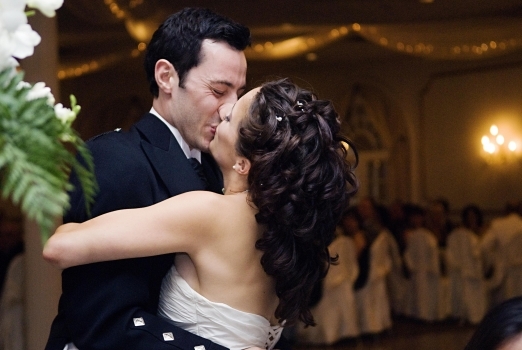 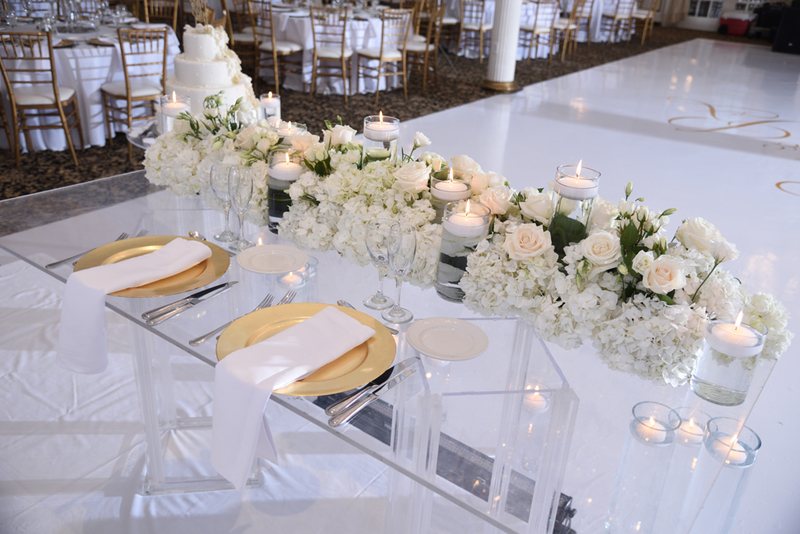 You will have the opportunity to meet with one of our Event Specialists to plan and customize your wedding menu. 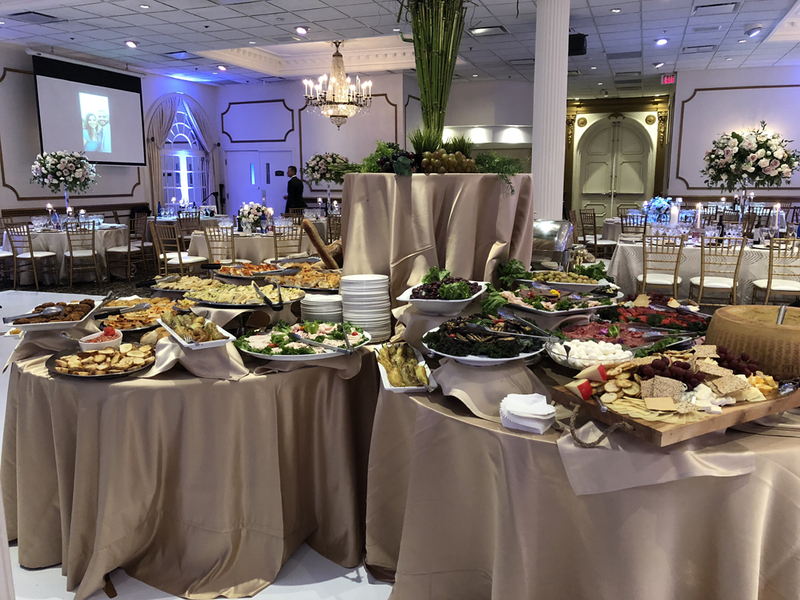 Roma’s Hospitality Centre is able to meet special needs, allergies, vegan, vegetarian, kosher, halal and any other special requests.